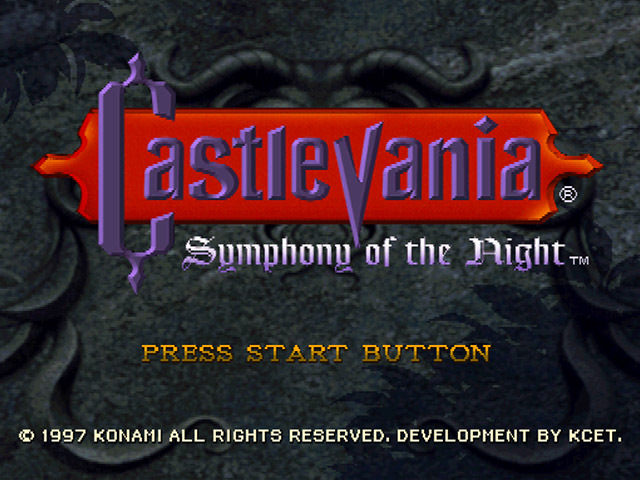 Symphony of the night stands (for me at least) as the best Castlevania game ever made. 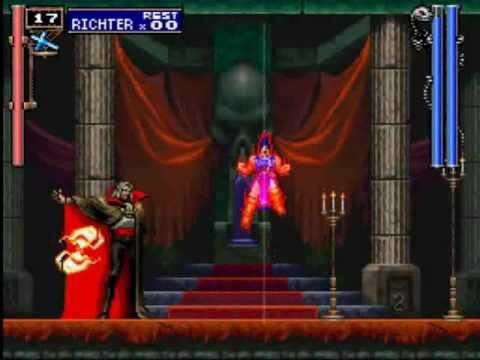 Perfectly exemplifying the whole "metroidvania" genre of games, it provides a massive game world to explore (with more for those who can find it), endless customisation choices with more weapons, armour and bizarre items than you can shake a stick at and a story thats at least passably interesting. The game features a mind boggling array of items to find throughout from basic swords and axes to a sword that can summon a small army for a time. The graphics are fantastic, with real care taken over character models. 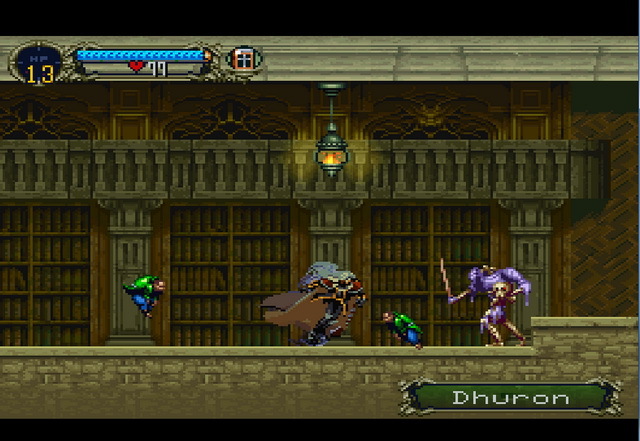 The players character has been very well animated, and the various spells and skill effects pleasing to the eye. The music is very good, with a wide variety of music for the different areas of the castle, most of which fits very nicely. All in all, this game stands as one of my all time favourites, and anyone who enjoys action adventure games would be well advised to check it out! This game is awesome. A huge castle to explore, innumerable enemies to destroy, myriad secrets to discover, and an extensive armory of equipment to find and use. From holy swords to nunchucks, from knuckles that make you feel like you're playing Street Fighter to a dagger that flies around, it's hard to not find something interesting to use on the legions of undead. Being a Playstation game, the voice acting is full of more ham and cheese than most delicatessens, but that's just part of the charm. If you've never played this game, you're missing a classic. 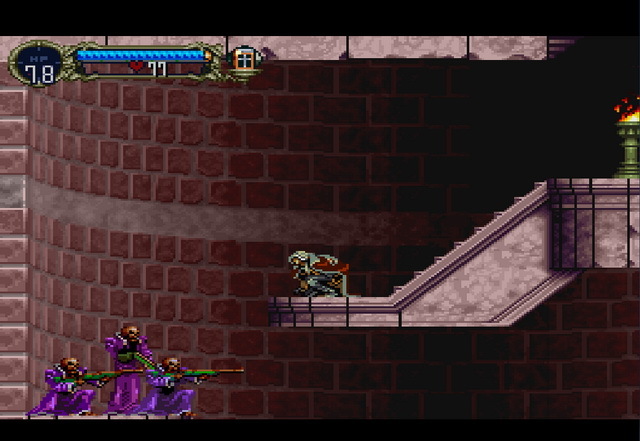 Released in 1997 by Konami, Castlevania: Symphony of the Night follows Alucard on his quest to slay Dracula. 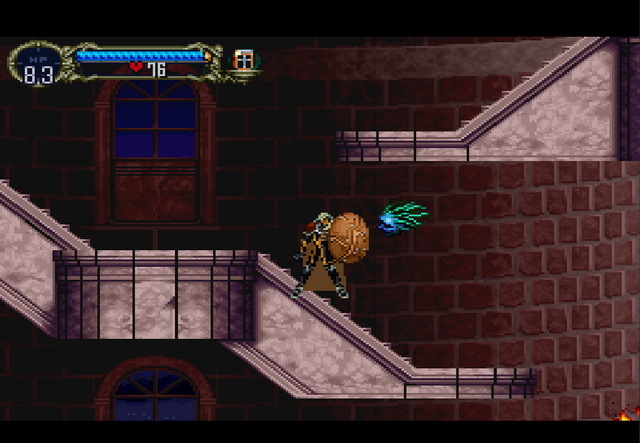 SOTN is a single-player 2D sidescroller RPG for the PS1 that has also been released on the PSN Store and the Xbox LIVE marketplace. 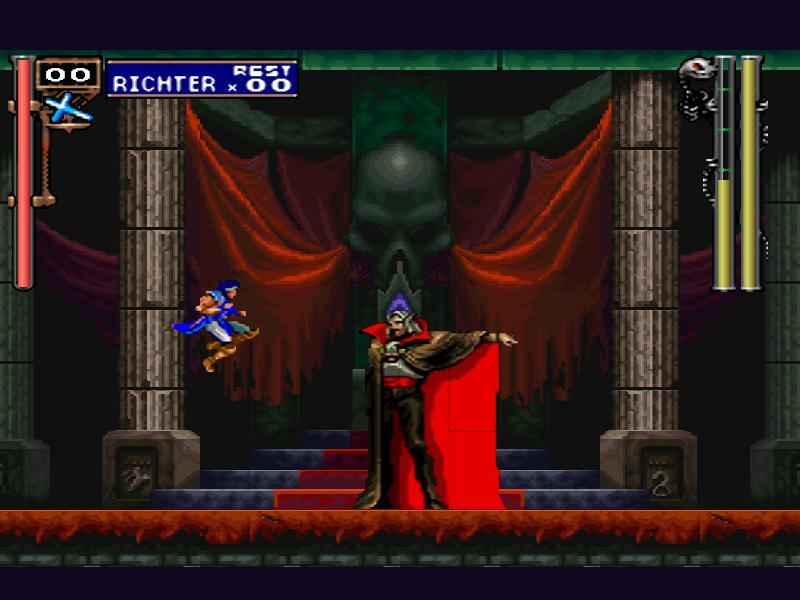 The game begins during the ending point of Castlevania: Rondo of Blood, with Richter Belmont about to fight Dracula. 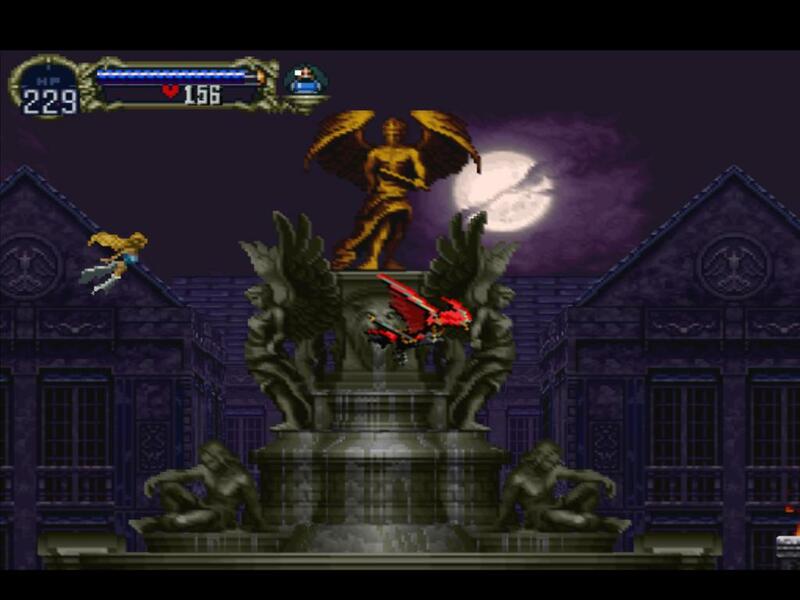 Alucard can utilize various weapons and abilities to slay monsters and access more parts of Dracula's castle. He can have two weapons equipped at a time: one for his left and right hand. 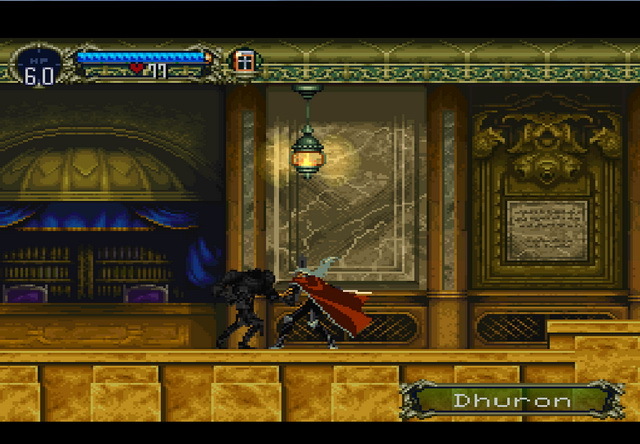 Alucard can also don various accessories, pieces of armor, etc. that raise various stats of his. He also comes across various transformations in the game (Bat, Mist, and Wolf) that he needs to get where he needs to be. He also has spells that can be achieved via button and directional pad combos. Now you can add videos, screenshots, or other images (cover scans, disc scans, etc.) 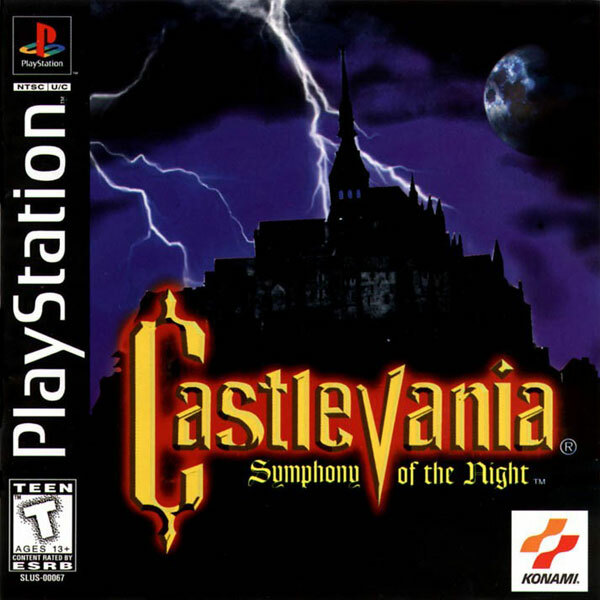 for Castlevania - Symphony of the Night [plus Music CD] [U] to Emuparadise. Do it now!